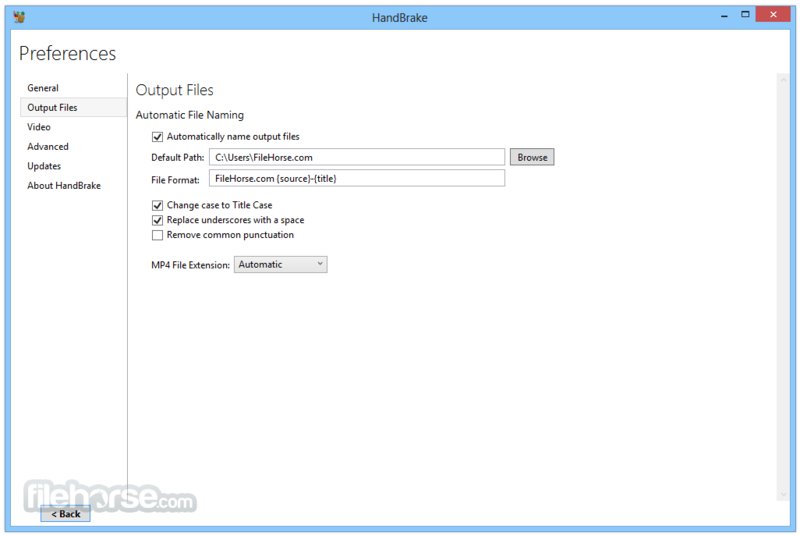 HandBrake 64-bit is a free and open source tool for converting video files from nearly any format to a selection of modern, widely supported codecs. It enabels anyone to easily prepare their camera videos to be played on wide variety of devices, including all versions of iPhones, iPads, Apple TVs, Android phones, Android tables and more. Of course, app fully supports one of the most popular video conversion processes of all time -transfer of movies from your DVDs to your hard drive by converting them to files in the MPEG-4 format. 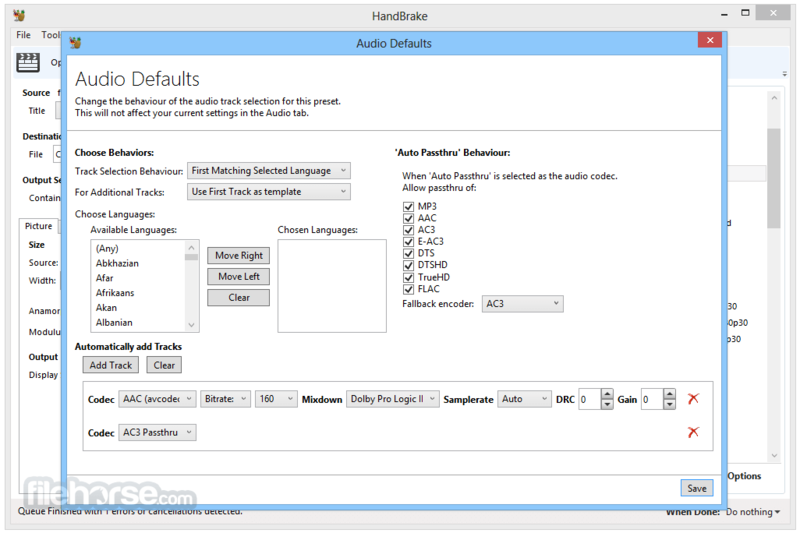 You can apply many great video filters (grayscale, detelecine, decomb, deinterlace, denoise, deblock), as well as set the video codec, quality and framerate, audio codec, mixdown, sample frequency rate and bitrate. 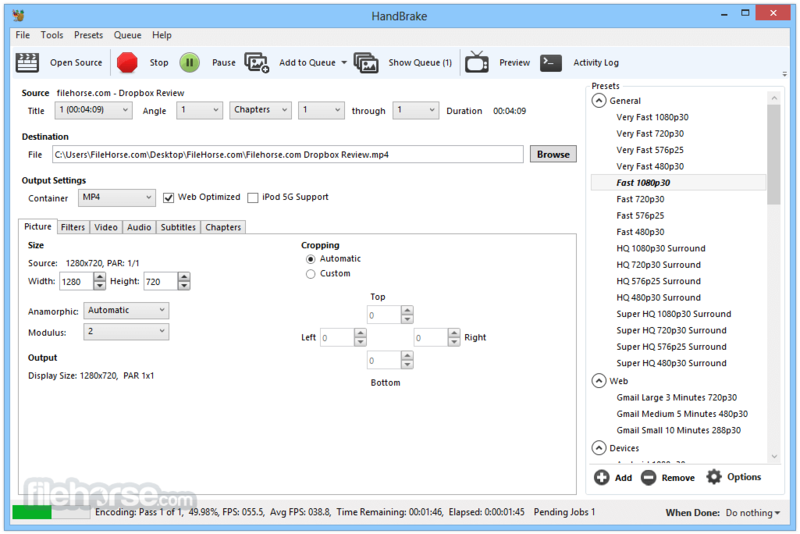 Today, after so many years and turbulent state of development, Handbrake 64-bit still represents one of the most popular video conversion programs on the market, with support for many features that make conversion process easy and intuitive. 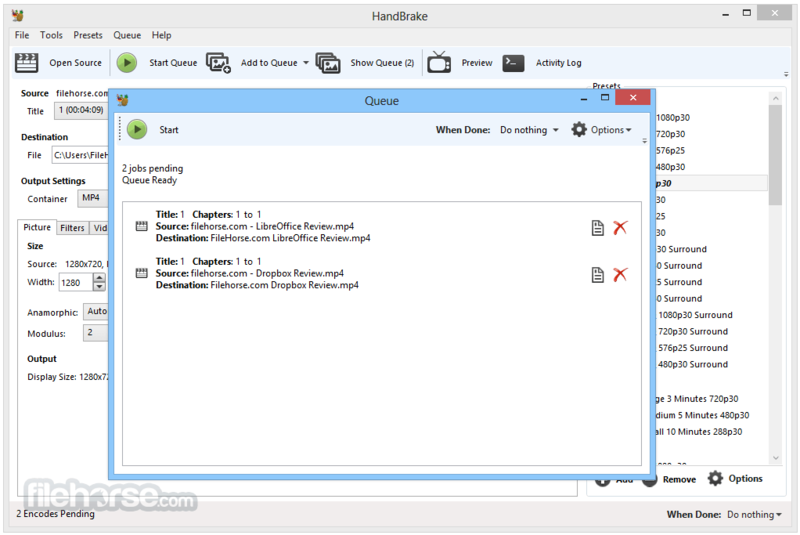 Even still, Handbrake remains to be 100% free and with regular updates continues to expand its capability to work with all currently popular video and audio codecs on the market.